How much is Mikey Teutul Worth? Mikey Teutul net worth: Mikey Teutul is an American television personality who has a net worth of $2 million. 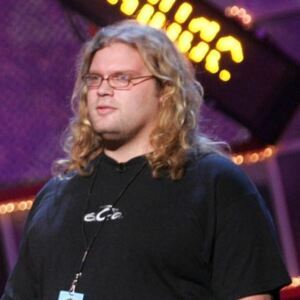 Mikey Teutul was born in November 1978. 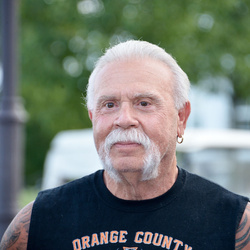 Mikey is best known for being featured on the Discovery Channel reality shows American Chopper and American Chopper: Senior vs. Junior. He is the youngest son of Orange County Choppers founder Paul Teutul, Sr. and the brother of former Orange County Choppers chief fabricator Paul Teutul, Jr. When he was 14 Mikey started working at the family company Orange County Iron Works. He became the Assistant General Manager of Orange County Choppers. He answered phones and took the trash, but did built one of his own bikes. He appeared at promotional events for Orange County Choppers, but has been squeezed out of the business. He joined his brother for his new venture Paul Jr. Designs. In late 2009 Mikey checked himself into rehab for an alcohol addiction. He is marketing a line of pasta sauces using the name FarQueue Products, LLC. He has played himself on My Name is Earl and King of the Hill.